The golden years are some of life’s best. With a lifetime of memories, unlimited free time during retirement, and a wiser outlook, senior citizens are living the good life. Unfortunately, there are people who prey on exactly those benefits to try to cheat senior citizens out of cash, property, or their identities. Fear is a common emotion that scammers use to trick seniors and others into handing over their hard-earned cash. 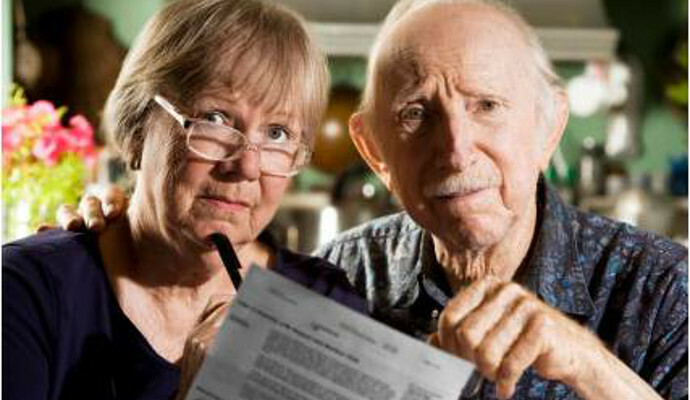 Even some of the savviest seniors have realized too late that they were swindled. So how can seniors protect their assets and stay safe when it comes to fraudsters? Read up on some of the most common scams that target senior citizens, as well as how to avoid becoming a victim of those scams. Some scammers lead seniors to believe that their final expenses (i.e. funerals and burials) will be covered. Seniors with good intentions of not burdening their loved ones with these end-of-life costs may hand over thousands of dollars to individuals they believe to be legit. When the time comes for those individuals to pay up, however, the family learns too late that the loved one got scammed. So what can seniors do to prevent this from happening to them? Before spending any money on final expenses, seniors should share their plans with other family members and even a trusted attorney. Together, the senior and his or her loved ones should seek out a legitimate business that is a member of the Better Business Bureau and has a website and a presence on consumer review pages. All contracts should be carefully read before exchanging money. Most seniors are too smart to give important financial information to strangers asking for money – but what about a call from someone who appears to be the real deal? A good example is a telemarketer who calls (or emails) and asks to confirm the credit card, bank account info, or social security number of the senior on behalf of a utility company or other common bill. These fraudsters may say all the right things to make their call sound completely believable but what they are essentially doing is setting up the senior for identity theft. In some cases, these callers or emailers may even ask for a payment for something that seems legitimate. 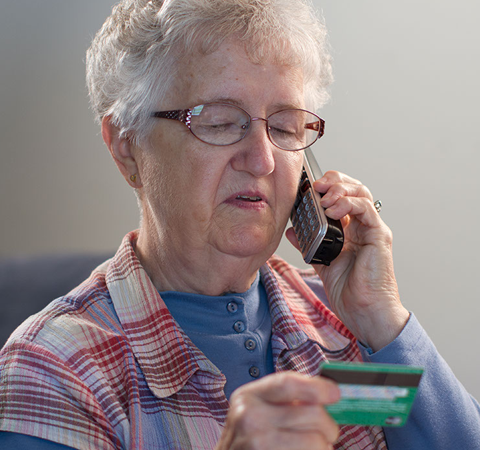 The best way to avoid getting fooled by these senior scams is to ask for a name badge or customer ID, phone number, and company name for the caller. Say that you will get the information gathered and call back. Any legitimate company will be completely fine with this request. If the caller pressures the senior to hand over the info, this is a red flag. After hanging up, call the company the person claimed to be representing (using a number you find online), and ask for a customer service agent. Explain the call you just received and ask that agent to let you know if the request is a real one. Reverse mortgages are a smart way for seniors to tap one of their greatest assets: their home(s). The cash from a reverse mortgage can relieve some of the financial stress of the final years of life, but scammers have found ways to prey upon this option, too. 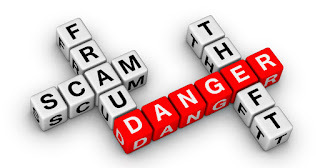 Usually the senior scams includes a letter that appears to be from an official assessor’s office, or government agency that offers the homeowner cash or even a different house in exchange for the title to the home. The senior ends up on the losing end of the deal, of course, when they do not receive the right amount (or any amount) of cash for their nest egg. Seniors who are interested in learning more about a reverse mortgage should contact a well-vetted company with a track record of standing up for seniors – not swindling them. Seniors spend a lifetime building up retirement funds so that their golden years can be comfortable ones. Scammers take advantage of this sitting cash and the fixed-income status of seniors to try to swindle them out of this money at every opportunity. We’ve all heard of infamous Ponzi scams like the one that Bernie Madoff tried to pull off using millions of other people’s money, but these bad investments are not always so grand in scale. Fraudsters could present seniors with fake real estate or business opportunities, and ask for a down payment to hold their spots. These con artists often present brochures and other materials that appear real, but once they have the money, they are long gone. Seniors can avoid this scamming trap by vetting their investment opportunities with a licensed, trusted financial advisor first. That advisor can look into the legitimacy of the offerings and let the senior know if it seems like a smart move or not. The combination of aging issues with rising medical costs can lead some seniors to look for ways to cut corners on their prescriptions, but this can have negative side effects both on the wallet and the body. Since 2000, the Food and Drug Administration has investigated as many as 20 illegal internet prescription scams per year, and many of the people defrauded were senior citizens. Most drug companies have cost-reduction programs for people with low or fixed incomes. Seniors should contact those drug providers before going online for any drugs prescribed by their physician. The trick of this scam is to make seniors believe that they have truly won something, but then charge them a processing or “winner’s” fee to claim the full amount. Often seniors will receive a check that appears real and will cash it. Before the bank can reject the check (this usually takes a few days), the senior will send the requested winner’s fee to the scammers. 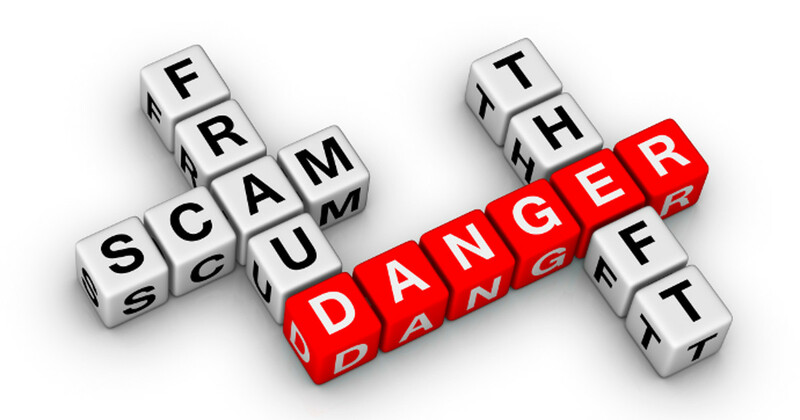 By the time the senior is told that he or she is being scammed, the fraudsters are long gone with the money. It’s important for seniors (and everyone for that matter) to approach any financial proposition with a cautious eye. You should never hand over personal or financial information on the phone or through email. And discuss any large financial matters, like final expenses or a reverse mortgage for seniors, with a licensed professional who you can verify. Contributed By: Mehran Aram, a graduate from the University of San Diego School of Business in 1984, founded Aramco Mortgage in 1998 after spending almost five years in the industry. Today, Mehran Aram is President and CEO of The Aramco Group, and has recently been honored with the distinction of CRMP(Certified Reverse Mortgage Professional) a certification held by less than 50 brokers nationwide. 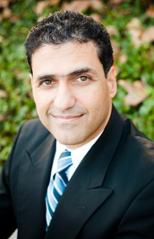 Mr. Aram currently heralds the title of “Mortgage Analyst” on San Diego radio stations: AM 600 KOGO, AM 760 KFMB, AM 1170 KCBQ, AM 1210 KPRZ, FM 98.1, and Fox News Monterey’s AM 1460. Garnering endorsements across the state of California, including from radio personalities, Roger Hedgecock, George Chamberlin, Mark Larson, and Ladona Harvey, Mehran Aram along with his nearly 20 years of industry experience has effectively become California’s Mortgage Expert in reverse mortgages, refinances and purchase loans, among many other loan products. These scammers are pretty sharp. I get at least one scary email a week wanting to get into my online banking.